3 fails in one, epic win. 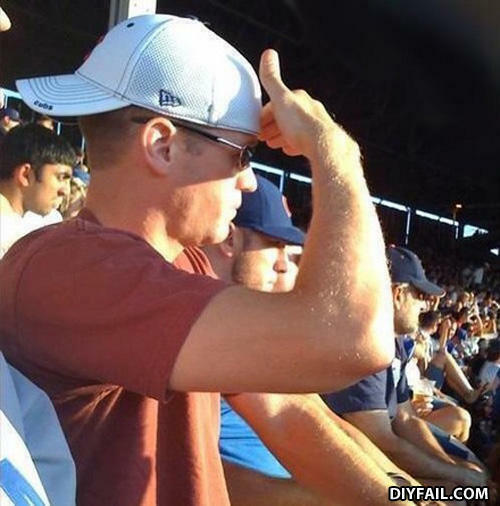 Nice he wears sunglasses and he covers his eyes while wearing a hat, 3 fails in one. Oh no that guy have white hat!